In this week's podcast we'll talk about why an ice record sounds so noisy compared to a vinyl record. Even though the sound quality of the ice record isn't great, it demonstrates the fundamental principle behind LP's: any material can serve as a record, as long as it can hold the imprint of a sound wave. 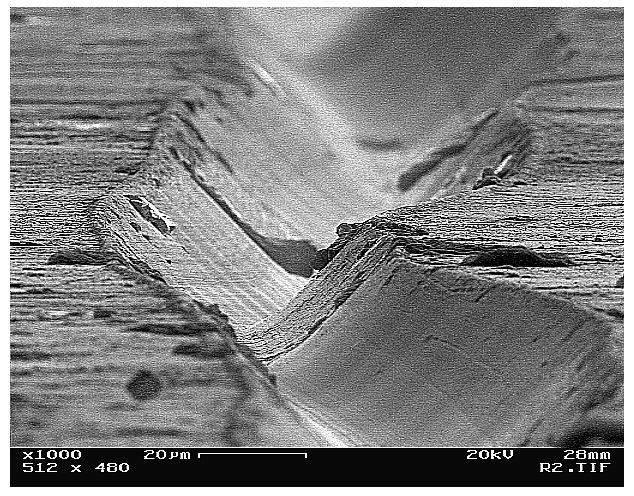 Image of a record groove, captured by Chris Supranowitz, an optics researcher at the University of Rochester. Like the ice record, these records have a lot of accompanying noise. In addition, they're likely to damage the needle on a record player over time. But the process is interesting. Ghasshaei used a laser cutter to carve the grooves into the wood, and she shares instructions on how you can make your own (assuming you have access to the right tools). She's also printed records with a 3D printer; they also don't sound great. But, perhaps this is a starting point to improve these methods of record production. In the same way that book publishers now have print-on-demand options for rare or out-of-print books, perhaps record producers will one day use 3D printers or laser cutters to create single copy LP's. Listen to this week's podcast (and subscribe via iTunes!) 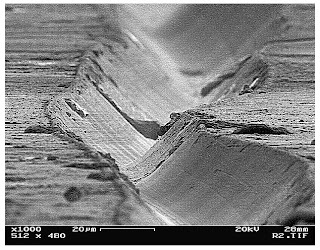 for more about the science of sound and vinyl! You can listen to samples of different sound wave shapes (square, triangle, sawtooth) here.